Mohit Joshi, The Author Of This Book Is Graduate In 'Electronics & Communication Engineering' & Is GATE (Graduate Aptitude Test In Engineering) Qualified. He Is Particularly Interested In Cosmology & High Energy Physics. Albert Einstein & Richard Feynman Are His Favourite Nobel Laureates. MohitJoshi.Com Is The Personal Website Of The Author. 2.0 out of 5 starsNot enough information in sample to purchase. (Revised). Got a sample of this book which included nothing but website information and other titles by the author. My suggestion: At least table of contents and a chapter, so we get an idea of the skills of the writer. (End of first review). I later went back and now there was some new material. A bit of a mystery, which I guess goes with the title. In any case, I started to read for sense and understanding. What I found was a great deal of unexplained labeling, and said labeling bore considerable resemblance to the Emperor's new clothes. I operate on the axiom that virtually everything can be explained in actual words, rather than arcane symbols, many of which were coined whimsically by physicists stuck in a quarkmire of their own whimsy. I recognize that there are maths out of my experience which I do not understand. I also know that they can ultimately be put into words which will facilitate understanding. I found none of that here. This is great book for those who are interested in Physics. 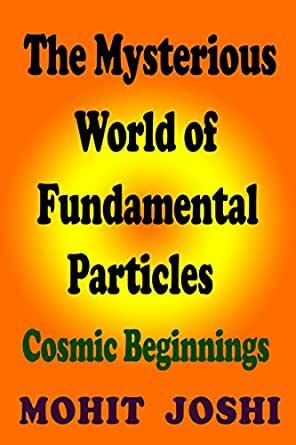 All fundamental particles have been clearly explained. Well-written book in simple language.